Crown lengthening is usually performed to improve the health of the gum soft tissue, prepare the mouth for a procedure, or correct a “gummy smile”. A “gummy smile” is used to describe an instance where teeth are covered with excess gum tissue resulting in a less esthetically-pleasing smile. 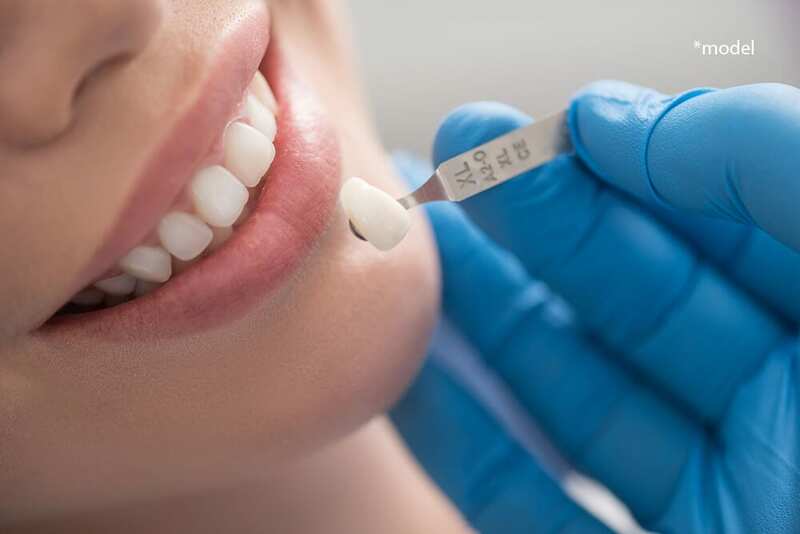 The procedure involves reshaping or recontouring the gum tissue and bone around the tooth in question to create a new gum–to–tooth relationship. Crown lengthening can be performed on a single tooth to expose more of the tooth, many teeth or the entire gum line. Crown lengthening dental procedure is often required when your tooth needs a new crown or other restoration. The edge of that restoration is deep below the gum tissue and not immediately accessible. It is also usually too close to the bone or below the bone. Crown lengthening allows us to reach the edge of the restoration, ensuring a proper fit to the tooth. It should also provide enough tooth structure to the new restoration will not come loose in the future. This allows you to clean the edge of the restoration when you brush and floss to prevent tooth decay, periodontal disease, and maintain oral health. Crown lengthening procedure takes approximately one hour but will largely depend on the number of teeth involved and if any amount of bone will need to be removed. The surgical procedure is usually performed under local anesthesia and involves a series of small incisions around the tissue to separate the gums from the teeth and expose the roots. Even if only one tooth requires the procedure, it will probably be necessary to adjust the neighboring teeth to enable a more even reshaping. In some cases, the extraction of a small amount of bone will be necessary as well. When Dr. Salamati is satisfied that the teeth have sufficient exposure and the procedure is completed, the incisions will be cleaned with sterile water. Sutures and a protective bandage are then placed to help secure the new gum-to-tooth relationship.